Alberto Salinas has dedicated his practice of law to the areas of business, international, immigration and personal injury law. He has also been active in offering pro bono services to indigents in Texas. Mr. Salinas is the founder and managing member of the Salinas Law Firm. Mr. Salinas also provides general counsel services to small and medium sized companies in a wide range of legal issues. He has helped companies ranging from oil and gas to real estate companies in the formation stage, in resolving difficult legal issues, contract preparation and review, international matters and in day-to-day assistance as general counsel. He has filed lawsuits on behalf of companies and individuals in matters relating to contract disputes, employment, negligence and other business claims. He has also defended companies and individuals when they have been sued. Mr. Salinas has worked extensively in the areas of business, immigration and nationality law. He has successfully represented clients before the Department of Homeland Security and U.S. Citizenship and Immigration Services (USCIS), as well as through filings with U.S. Consulates around the world. Mr. Salinas has helped many companies and individuals handle an array of immigration cases with a variety of issues including nonimmigrant visas (H-1B, H-2B, E-2, E-3, L-1, P, TN), employment-based and family-based immigrant petitions, permanent residence (green card) applications, naturalization, adjustment of status, deferred action, USCIS RFEs, removal/deportation, immigration appeals and numerous other filings. 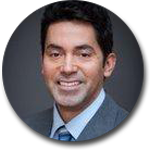 Mr. Salinas is fluent in Spanish and strives to serve his clients with creativity, sensitivity and diligence, three qualities that are essential when dealing with legal issues. Chuck’s legal experience consists of working for several non-profit organizations which serve the indigent community with immigration legal services. Working at these non-profits, he realized how important knowing and having an understanding of the criminal justice system was in effectively representing clients in immigration proceedings. During his time with the firm, he has researched complex immigration law issues and drafted legal briefs. He has represented clients before USCIS, EOIR, including bond hearings and interviews before the Asylum office, Immigration courts and processing centers. He represents businesses and individuals with their immigration needs including employment based visas such as H-1B, L, P, E visas and other work visas. Chuck is passionate about public service and social justice. He is also actively involved in his church where he performs as a chorus member. Nancy supports the law firm in the processing of family based visas, naturalization and consular processing. She also handles the administrative areas of the law firm and supports the organizational development of the firm by improving policies, management and processes among other duties. Nancy has been with the law firm since 2015. She dedicates herself to providing high-quality customer service to our clients. She is bilingual in English and Spanish.